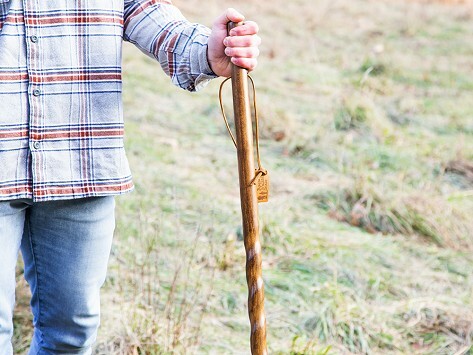 Take this handcrafted walking stick along on hikes, treks, and strolls for a little extra support. The stick features an intricate twisted design and is made in Texas by local artisans. Single-piece construction with sturdy, but lightweight pine wood means there are no seams or breaking points.